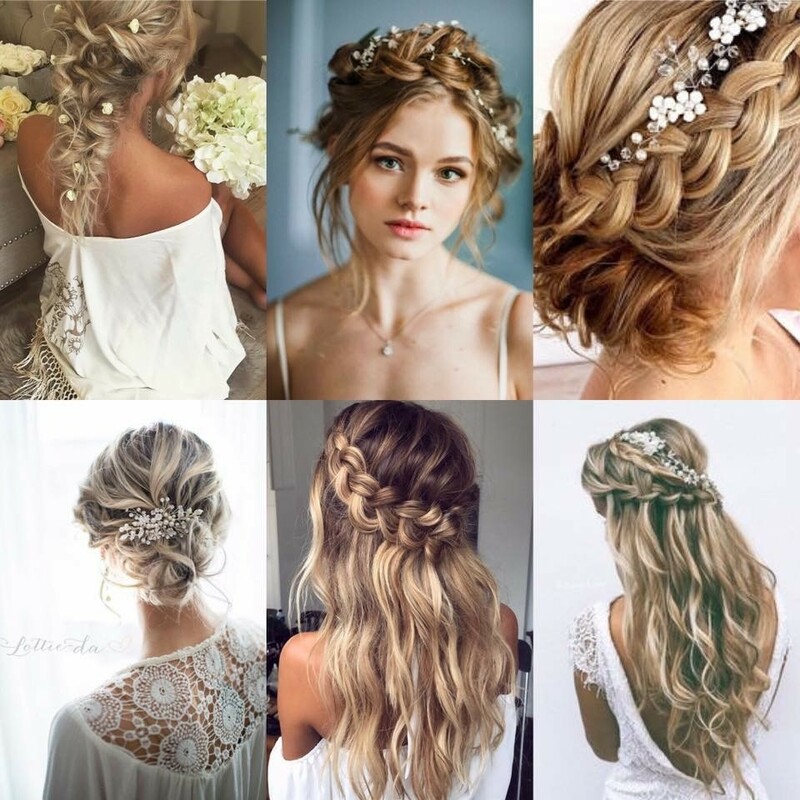 With bridal trial season upon us I am beginning to get panicked emails from brides who tell me (after I have asked them to gather pictures of hairstyles together) that they have no idea what they want. I completely get it. The sheer amount of images out there is enough to drive the most focussed bride a little bit nuts and though Pinterest is, at times, our best friend, it is also our worst enemy. Below is an example of a board that a bride brought to me recently, full of apologies because there were several styles on there and she felt it was super unhelpful. Actually, this was very helpful. Yes, there are a few different styles on there, but what I could see at first glance was that she didn’t want structure, but instead favoured a more relaxed, tousled look, she liked braids and would probably want some kind of hair ornament. When she showed me a picture of her dress and I looked at her hair type and asked how well it holds a curl, it became immediately apparent that her hair would need to be up but with lots of tendrils to frame her face and fall softly at the back. I wish I could show you the finished result but I have been sworn to secrecy! The moral of the story is, even if you don’t ‘know’ what you want, you will have an idea even if you don’t realise it. If you bring nothing with you we don’t have a starting point and I could get it very wrong before I get it right – your idea of ‘messy’ might be the same as mine – but if I have something to guide me, I promise we will quickly create your dream hairstyle.